To import data to CandleScanner from text file click Import » Text File button from the DATA menu on the ribbon bar. This opens ASCII Data Import Wizard, which guides through the whole process. There are 5 steps in this wizard. If you need you can use < Back button to return to the previous step. Specify the folder on your computer where the ASCII data is stored by clicking … button beside the Select folder containing ASCII data text field. In the field Import schema (optional) you can select an import schema which simplifies the import process. Please note that import schema need to be first created and also it has to be appropriate for the data being imported. 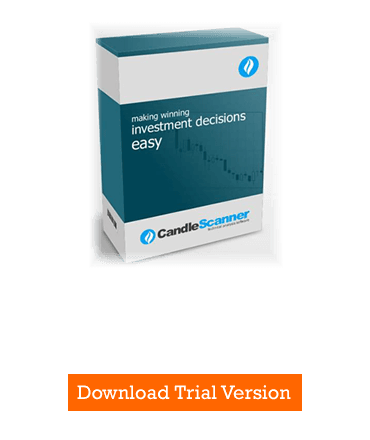 Select checkbox Automatic quote update if you want to make CandleScanner read the directory from which you are importing to see new quotes. Import schema is a kind of a description of the ASCII format file. In the schema there is information specifying the exact set of the columns, its sequence and data type. ASCII files can have a different set of columns, and some values can be written in different formats (date and time can be written in many possible ways). Therefore, if you imported once ASCII files to CandleScanner you had to provide all these information in the ASCII Data Import Wizard. At the end of the import process, you can save this as an import schema which can be reused next time while importing data with the same format. Wizard reads the folder specified in STEP 1 and displays all available symbols on the left side. Select symbols which you want to import to CandleScanner and press > button. You can also add all symbols by clicking on the >> button. If you want to do the opposite use < and << button respectively. You can select more than one element by pressing CTRL button or SHIFT button to select multiple rows at once. Specify in which symbols group you want to store the imported symbols. You can either select one from the already existing groups (option Existing group) or create a new one (option New group). Note that if you specify a group it has to be of the same type, i.e. intraday or EOD as the data which is being imported. Assign to each column an appropriate data type. Application displays first rows of the file, split into columns, to make the process easier. Right-click on every column and select the data type. The importing process is completed. You can save current import settings as an import schema and use them next time to optimize the import process. If any problems were encountered during the import, you will see details in the lower panel of this screen.